With Jobber, it’s easy for you and your team to track expenses no matter where you are. 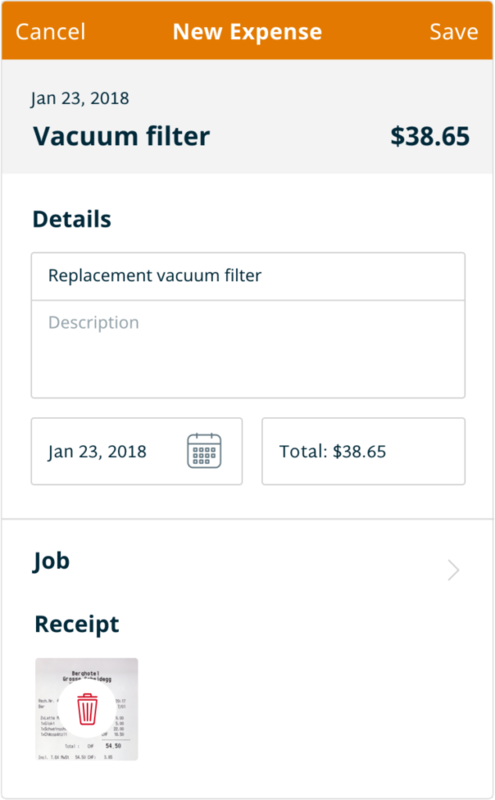 Upload expenses at the office or while you’re out in the field using the Jobber app to easily snap and attach receipt photos. Assign expenses to a team member for reimbursement, to a job to calculate the material cost, and to an accounting code so that you can properly track your business expenses for accounting purposes.